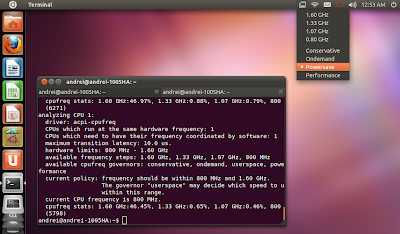 CPUFreq Indicator is a CPU frequency scaling GNOME panel applet replacement. A new CPUFreq Indicator version has been uploaded to its PPA for Ubuntu 11.10 Oneiric Ocelot. The new version comes with some very important fixes, such as: the bug that caused CPUFreq Indicator to only manage one core as well as the bug that was causing it not to work at all in Ubuntu 11.04 have been fixed for Ubuntu 11.10. The latest version also comes with a new AppIndicator icon. Unfortunately these fixes are not available (at least for now) for Ubuntu 11.04. The PPA now provides the new version for Ubuntu 11.04 Natty Narwhal too.